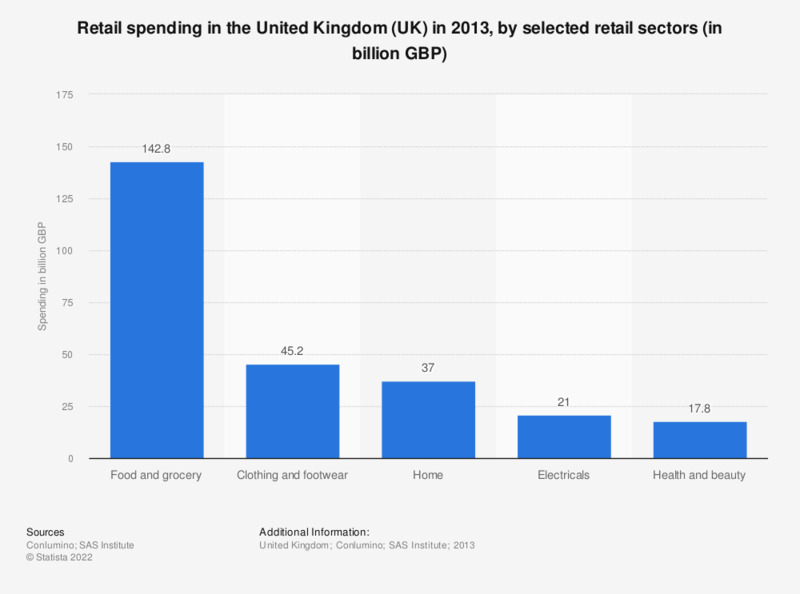 This statistic shows total spending in the retail sector in the United Kingdom (UK) in 2013, by selected retail markets. The highest retail spend was in the food and grocery market, valuing 142.8 billion British pounds. Expenditure in the clothing and footwear market reached 45.2 billion British pounds.